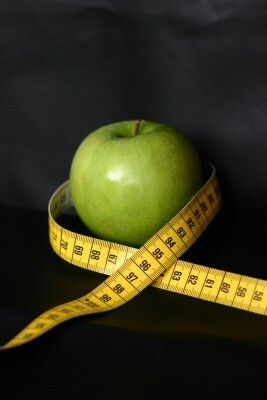 My healthy weight loss tips will help you to avoid 10 most common weight loss mistakes. Have finally decided to go on a healthy diet? You are full of enthusiasm and determined to lose weight no matter what. This time you are really going to do it! . You wake up in the morning – and you feel great! As the time goes by, your enthusiasm starts slowly running away from you, leaving you with that frustrating hunger feeling. A day goes by and your eagerness disappears. You become moody and wondering whether you should try it again another time. After couple more days you begin hating all existing diets and after a week or two you discover that all your suffering was pointless: you have not lost a pound. This is a very common dieting mistake. We hear some successful weight loss story told by a popular celebrity, or our friend, or coworker. We get inspired and rush into trying it out. But this is a wrong approach. We forget that we are all different. While a certain diet can help one to make a magical transformation, it can have no effect on another. For best results it is a good idea to evaluate your personal needs and physical condition and choose a diet according to your own needs. Check out my healthy diet plan for more ideas. Although we all know too well that losing weight takes a lot of time, every time we begin a diet we want to see the amazing results immediately. Many think that only after a week of dieting their body shape will noticeably change: their hips, waist, hamstrings will shrink in size and become fit. Well, no such thing will happen, because when you begin a diet (of course the one that will not damage your health) it will take your body a whole month to get into a new routine. If you lose any weight before that, it will most likely be your water weight and not extra fat on your hips or belly. Extra pounds come off very slowly and it is hard to notice changes in your figure, especially if you look at yourself in the mirror every day. I personally started to see results only after losing my first 15-20 pounds, before that I did not notice any difference. But if you are keen, you may take pictures of yourself every week or so. If you get into a good weight loss routine you will be surprised how your body changes each week. So do not be tempted to see amazing results fast– approach your goal slowly, but surely. I remember I was so frustrated with my inability to lose weight after I had my son. I tried everything – and for the first time in my life I could not lose an ounce. I had no physical activity. I breastfed exclusively and my son wanted to be nursed every hour, so I pretty much stayed in bed all day long. Not to mention that I had a habit of sleeping every time he did (and that was around 14-16 hours per day). No wonder I could not lose weight! It took me couple of months to grasp my mistake, but the moment I did it, I run to the gym. Well, actually I signed up for yoga classes. I lost 10 pounds in the first month. And after 2 more months I cut down on sleeping to about 6 hours a day. It was not that hard because ever since I started exercising I felt more energized. And increase in physical activity boosted my metabolism up which helped me lose weight even faster. Also visit my exercise section to learn more about your physical activity options. Are you one of those people who only diet during the week and ‘relax’ by enjoying hearty, three course dinner on a weekend? If you are, then you should not be surprised that your ‘5-out-of-7-days’ diet does not give you good results. While it is your right to relax on your day-off, you body loves consistency and will not forgive you frequent deviation from usual eating routine. It is ok to treat yourself to something yummy once in a while, just do not make it a habit, and do not do it too often. For example, healthy dark chocolate is a delicious healthy snack option. It is becoming more and more popular as a tasty option to get the antioxidants you need. No doubt that some stress in our life is beyond our control. Nevertheless, we should still know how to cope with stressful environment. In a mean time keep in mind that stress has direct impact on your ability to lose weight. Many of us turn to food for comfort in stressful situation. Remember this next time you are starting a new healthy diet plan. Choose appropriate, less stressful time for it. If you have a busy life: full-time job, family, kids, friends etc. it is vital to regularly give your system a break. Have you ever noticed that you weight less in the morning than at night? Well it is not just because you don’t eat while you sleep. It is because your system works and burns fats while you rest. So if you body does not have enough time to do its job and restore strength, it will be harder for your body to get rid of extra fat. Lack of rest will also make it difficult for you to continue dieting. If you are trying hard and do everything right to lose weight but still don’t see any results, write down everything that goes into your system. You may be surprised at what you will discover. For instance, sugar and/or cream in your coffee, salt and pepper in your soup, mayonnaise on your sandwich, butter on your toast, ketchup or salad dressing etc. We are so used to those little food additions that we pay no attention to them. The biggest mistake all people make (regardless of their weight) is skipping meals, particularly breakfast – the most important meal of the day. Latest research showed that if our body does not get nutrients for more than 10 hours it starts storing fat. So, if a person on average sleeps about eight hours and skips breakfast in the morning, all he eats at lunch goes to fat. You do not have to eat 5 times a day, as many believe, but make sure you don’t starve your system. For more info about how to correctly distribute your daily food intake read my healthy diet menu article. Have you ever wanted to lose weight to attract a particular person? Or prove someone’s wrong? Or maybe you wanted to lose weight because you just hate, hate, hate the way that person in the mirror looks? I know I did. I made all of those mistakes. However, it is wrong to lose weight for any other reason besides your health. You should love your body – it is your temple. Do not ever think that it is ugly or imperfect, do not hurt it with aggressive dieting or exercise, and as a pay off it will transform into healthy, strong and beautiful. Most valuable of all healthy weight loss tips is to love your body and love yourself. Dieting is not only about what you eat, it is also about what you drink. Make sure to count those ‘liquid calories’. Diet coke, vitamin water, iced tea or worse of them all - energy drinks are also contributing to your caloric daily intake. Follow my healthy weight loss tips, do not repeat any dieting mistakes and have a happy healthy diet!